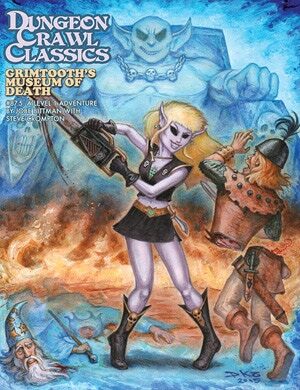 Grimtooth, the troll, of Trapsylvania is one of the premier figures of the RPG industry. The first humans heard of him was 1981, but his legacy pre-dates that in his own world. I requested an interview with Grimtooth of Trapsylvania to discuss his Kickstarter and what follows is Grimtooth in his own words, full of traps and tricks as the troll king shares his views of his land, his Kickstarter, and even hints at his secret origins. EGG EMBRY – Thank you for taking the time to talk with me. 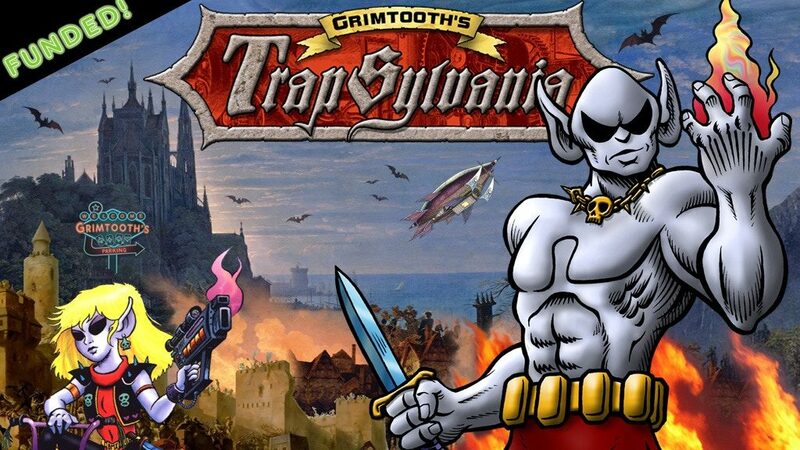 Let’s bait this trap, what is Grimtooth’s Trapsylvania? GRIMTOOTH – “Egg?” Is that your real name or what you had for breakfast? Anyway, your question has two answers. 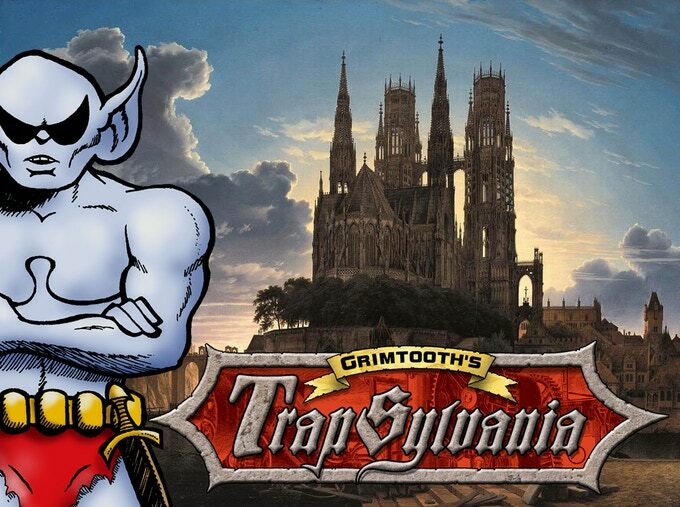 For ME, Grimtooth’s Trapsylvania is the greatest country in all the realms. A perfect place filled with castles, caverns, deep secrets, trap design museums and an enslaved population of Trolls and humans who obey my every whim! EGG – Grimtooth was first published by Flying Buffalo in 1981. When did you take over Trapsylvania and, as ruler of your own country, does Grimtooth ever feel trapped by the demands of the crown? GRIMTOOTH – Many years ago (before the Traps books) I conquered this territory and took it as my own. 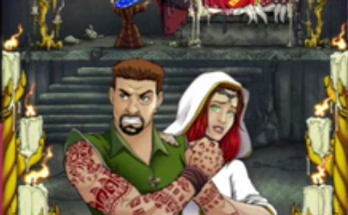 It was during my war against the pesky elves. Though the castle was owned by some human wizard named Merlin, I believe. It was really my family Trollish homeland before the humans came to the valley. My father lived there, so I was merely taking it back from unworthy trespassers. EGG – Grimtooth’s books are system neutral. For Grimtooth’s Trapsylvania, the appendixes will contain stats for Dungeon Crawl Classics. Is Grimtooth, and therefore Trapsylvania, endorsing DCC? How did this deal between Flying Buffalo and Goodman Games come about, and was Grimtooth’s kid sister, Grimtina, involved? GRIMTOOTH – Such details mean little to me and I endorse nothing. Goodman Games sent me a boatload of rubies for my permission to add their stats to MY book. I believe Grimtina suggested the idea (she likes rubies), so I let her have a bucket or two so she could bedazzle her pet Rhinoceros. EGG – What prompted you to risk yourself, your sister, and Trapsylvania by opening the borders of your land to adventuring parties? EGG – As a trap aficionado, what’s your favorite bait? 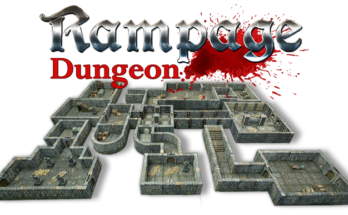 What reward do you offer to those that survive your traps? GRIMTOOTH – Greed is the best bait. When the delvers can see an incredibly valuable object almost within their grasp, all human reason and logic goes out the window as they desperately reach for the prize… then WHAM! I have them! EGG – Considering the myriad number of traps within the country, what are the building codes like in Trapsylvania? GRIMTOOTH – The building codes are TRICKY! Ha ha ha…. EGG – Who is the better trapper, yourself or Grimtina? Are there plans for a Grimtina’s Traps book? 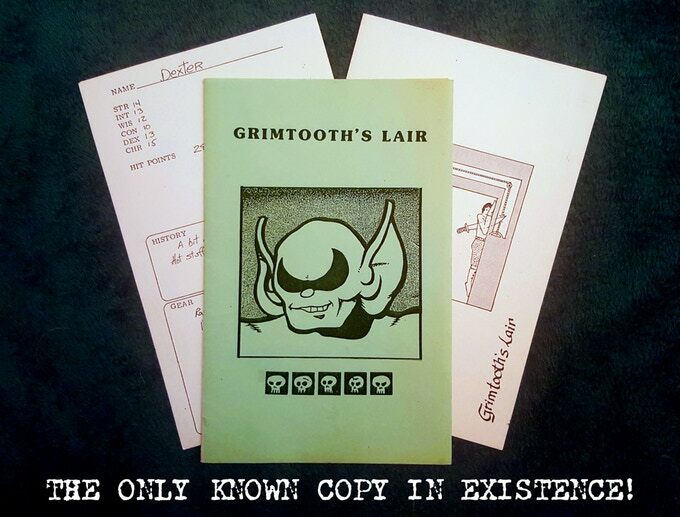 EGG – This Kickstarter not only expands Grimtooth’s world with a new book but also brings back a non-canon piece, the “unauthorized bootleg adventure called Grimtooth’s Lair.” When you found out this was for sale in 1983, how did you feel about it? What made this unauthorized product a good one to bring back into circulation? 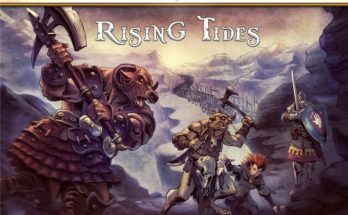 EGG – Goodman Games and Flying Buffalo’s Grimtooth’s Ultimate Traps Collection Kickstarter reprinting all five Grimtooth volumes did amazing numbers. Do you foresee an even more massive omnibus collecting those books with Grimtooth’s Trapsylvania, and possibly the aforementioned bootleg? GRIMTOOTH – Well that was FIVE books, this is only one by comparison so who knows? 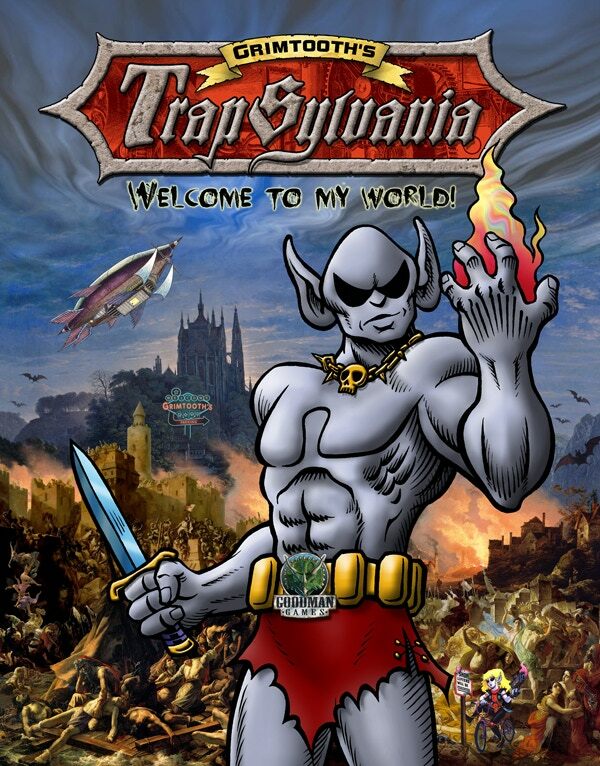 What I DO know is that Trapsylvania is my magnum opus, my greatest work, a tome of such depth and artistry that it will go down in gaming history as the penultimate campaign adventure of all time! Certainly, it will be the most darkly humorous and it is well illustrated. Many of my old servants were pulled out of prisons and sanitariums to contribute new art and suggest new traps for this once in a lifetime reunion. Imagine if the Beatles got back together for one more album… This is such a book. A book of legendary proportions! EGG – For GMs that want to bring the laughs and pain of Grimtooth to the table, where can they find out more about this Kickstarter, Goodman Games, and Flying Buffalo? But MOST IMPORTANTLY, the Ongoing Kickstarter for Trapsylvania can be found at the link below. If you haven’t pledged for it by now – what are you waiting for? Go… all of you. NOW! Next Article Reach out and Play 8: Combat Posting pt 2.